NHS Improvement has published a league table of NHS trusts according to their openness and transparency. 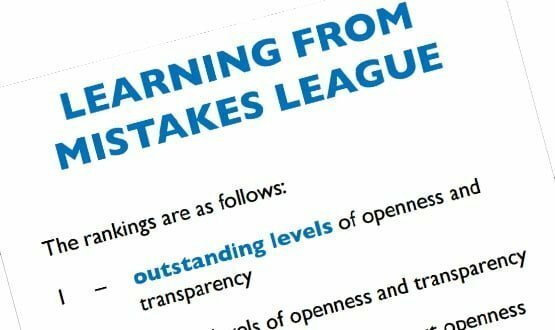 Northumbria Healthcare NHS Foundation Trust is ranked top in the 'Learning from Mistakes League' table and East Sussex Healthcare NHS Trust sits at the bottom, ranked number 230. The table gives trusts one of four rankings: 1 for “outstanding levels of openness and transparency”; 2 for “good levels of openness and transparency”; 3 if there are “significant concerns about openness and transparency”; and 4 if they have a “poor reporting culture”. Just 18 trusts are rated as “outstanding”, while 102 are “good”. There are 78 trusts about which NHS Improvement has “significant concerns” and 32 have a “poor reporting culture”. The table has been drawn together by scoring providers on the fairness and effectiveness of their procedures for reporting errors; near misses and incidents; staff confidence and security in reporting unsafe clinical practice; and the percentage of staff who feel able to contribute towards improvements at their trust. Health secretary Jeremy Hunt announced the new table as part of a statement to Parliament this week, giving an update on the "measures taken to improve safety and openness in the NHS." He said that fundamental to improvements in this area is “getting a strong reporting culture in hospitals where mistakes are acknowledged and not swept under the carpet." The table draws on data from the staff survey and safety incident reporting data to show which trusts have the best reporting culture and which ones need to be better at supporting staff who wish to raise concerns, Hunt said. It will be updated every year in a new Care Quality Commission 'State of Hospital Quality' report that will also contain trusts’ own annual estimates of their avoidable mortality rates and have a strong focus on learning and improvement, he added. 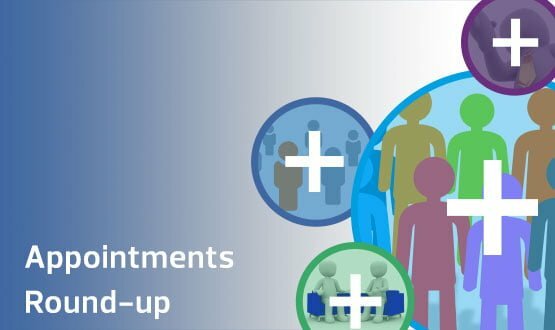 This month's round-up covers new chief information officer appointments Lewisham and Greenwich, Sandwell and West Birmingham and Morecambe Bay NHS trusts.